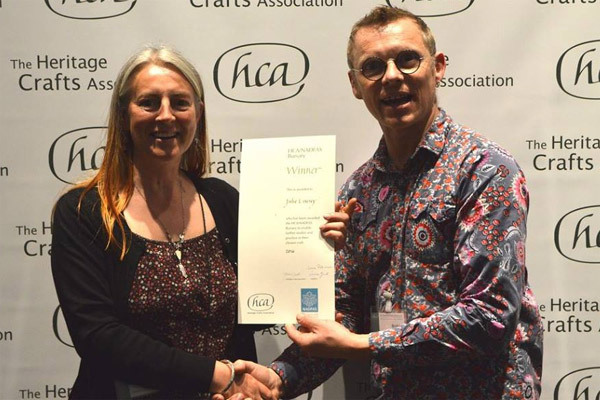 Basketmakers John Cowan, Julie Livesey and Emma Purcell each received an HCA/NADFAS Heritage Crafts Bursary. All three are established basketmakers and plan to use the bursaries to acquire further skills with master basket makers in England, France and Ireland. John received funding to train with Colin Manthorpe, Julie wants to train with Adrian Charlton, and Emma wants to train with Adrian Charlton, Eddie Glew and Joe Hogan. Although I thought applying for the Award was a bit of a long shot for me, the threat of redundancy at work spurred me on to apply. I was excited when I heard I had been shortlisted and walking through London to the interview with a load of baskets and a portfolio was a bit of a challenge but I enjoyed the experience and it gave a boost to my morale. Winning the HCA/NADFAS Award has had a positive impact on my life. Training in traditional English basketmaking with Adrian Charlton took place over two intensive weeks in June and November 2016 which has increased my confidence as a basket maker and fast tracked skills that would have taken me years to develop without the bursary. Adrian also had lots of hints and tips on growing willow, pricing stock and potential ways to make an income from basket making. This year I’ve been able to reduce the hours that I work for an environmental charity to concentrate on promoting my own business, making stock, attending events and increasing sales. The basketmaking is becoming a more prominent part of my business and this year I’ve opened up a workshop space at my local art gallery. I showcase my work at open studio days and have the opportunity to run willow workshops at the gallery and other local venues. Not only has the training improved my basket making skills but it has also had an impact on the quality of the living willow structures I build for community gardens and schools. 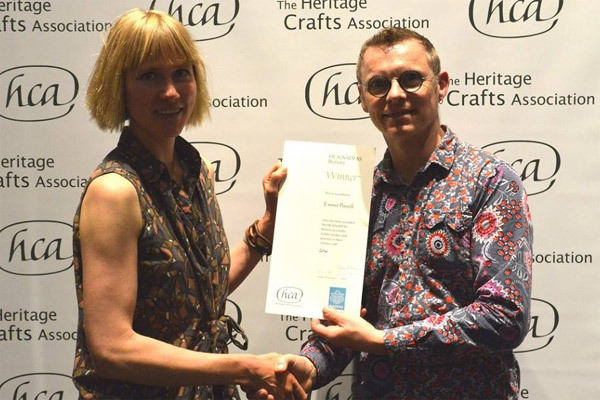 I feel very privileged to have won the award and the opportunities that it has given me and would encourage anyone with a passion for their craft to give it a go.